I have been busy! But then, when you are the matriarch of a large family, you are busy most of the time. In the midst of the family stuff, I did something for myself and created another event. The new salon is one of those self-care type things. I like to intellectually push boundaries, meet in small groups and have a quiet good time. My two favorite tools are astrology and Tarot cards and I have a love of the Pope and the Popess type people who are a part of the intuitive arts scene. Altogether, the salon is an expression of who I Am. As an introverted hermit type, I have a fondness for quiet subdued environments. Because my Gemini archetype likes to talk and my quiet side wants to attend small friendly gatherings, I came to the conclusion that a salon is the perfect venue. As an inner journeyer, I have explored my core dimensions for over 40 years. I have friends who have also lived the hermit’s highly symbolic life and we compare notes. Our way of seeing is great fun. Some of my friends are participating in the salon. We want to share what we have learned over the years and the salon is a good way to do that. As a transpersonal counselor, I like to have a full range of tools as options when in session. Tarot cards is but one of my tools, albeit a major one. I use the artful images on Tarot cards as an assessment tool at the beginning and for the major part of the counseling process. I also use astrology in counseling as an interpretation of the archetypal forces at work in this world at the moment that a client came into this world. I generally don’t work with transits during sessions but I keep them in mind. With both tools, I interpret a few of the archetypal forces at work in their lives in a way that makes sense to the querent. Basically, I study the archetypes and I find that, like dreams and meditations, Tarot cards and astrology are both rich with archetypes and offer a multitude of interpretations. This type of study is as complicated as mathematics, except that we dip our consciousness into our intrinsic, intuitive levels and bring back information and images. The intention you hold as you work with these esoteric tools opens the mind up to possibilities beyond our waking levels of consciousness. The additional information deepens the intellectual and intuitive aspect and gives the counselor more to go on. As strange as it may seem to some, intention also invites the archetypal transpersonal world (whatever it is) to participate in a dialog with you through these tools. At the salon at Breitenbush, there will be intuitive artists, who have earned their stripes from a lifetime of developing themselves. Each one has many years of experience. That said, one should still look at the healing arts scene with buyer beware eyes and an attitude that is playful. You are shopping about looking for answers but ultimately you need to keep your own counsel. You will get a session and an interpretation of your life challenge. Keep in mind that interpretation is an art form because of its openness to all ideas as valid (in some way). Maintain awareness that your session is the artist’s interpretation of your question and situation. The interpretations of astrologers and tarotists will vary dependent upon the education, experience, personality, life orientation and personal development of the person doing the reading. Overall, the natural environment at Breitenbush gives event participants a Nature’s healing type of experience that is best observed and experienced with mindfulness and a relaxed attitude. The rest of the time during the salon, you can get a massage, walk in the woods, and dine on healthy vegetarian food. There is a sauna and several hot tubs. This is a place whereby you leave your watch at home. And because of this salon, you can get an interpretation of the archetypal energies in a Tarot layout to answer your utmost passionate life questions and an astrology interpretation of the planet configurations at the time you were born. The salon is open to the explorer, the teacher, the student and many other archetypes. If you want to learn something that will facilitate your personal growth, or you have wisdom to teach, then this quiet and introspective event is for you. For your exploring pleasure, we have a line-up of Conversation Leaders, see www.nwsalon.com, all master magicians of the esoteric arts for the experiential part of the salon. Many of the Conversation Leaders will also be giving sessions in their cabins. I can envision their cabins all decorated up with scarves, bedspreads, lights, smells…..and music. 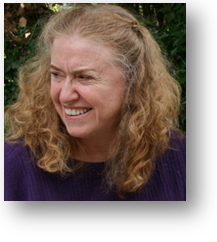 Toni Gilbert is a transpersonal counselor with a background in holistic nursing. As a professional with a formal education in nursing, psychology, transpersonal studies, and certifications in wellness counseling, mind-body consciousness, guided imagery, the use of imagery in medicine and more she offers clients an array of healing arts techniques to enhance wellness and prevent illness. In addition to an associate’s degree in nursing, she has a bachelor’s degree in psychology and art, including undergraduate classes in Jungian psychology. She continued her interest in art and its symbolism in a graduate art therapy school. She holds a master’s degree from the Institute of Transpersonal Psychology. Toni’s first book is entitled Messages from the Archetypes: Using Tarot for Healing and Spiritual Growth, published by White Cloud Press. Her second book, Gaining Archetypal Vision is published by Schiffer Books. She has written for national and local publication. You may see her published articles on her personal web site. 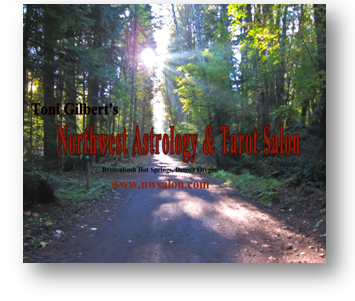 Ms. Gilbert maintains a personal web site www.tonigilbert.com and the Northwest Astrology & Tarot Salon site at www.nwsalon.com She was the founding editor of the Alternative Journal of Nursing and the founding director for the Oregon Holistic Nurses Association. In the recent past, Ms. Gilbert worked in the field of mental health nursing and owned Centre of Main St., a wellness center in Jefferson, Oregon, where she saw clients and facilitated therapeutic groups. In addition, she has taught psychology at two community colleges.